1. Trade and commerce has always played an important role in bilateral relationship and it has been a two way bridge which strengthens friendly relations. Therefore, normalising trading relations with Pakistan is an important component of India’s policy of overall normalisation and improvement of bilateral relations with the neighbour.Bilateral trade existed since independence, however, significant progress was made in the late nineties. India initiated the move for further boost in bilateral trade when it extended the MFN status to Pakistan in 1996 and the trade volume grew remarkably in the early 2000s. Further transition towards normalisation of trade relations between India and Pakistan was initiated by moving from a positive list maintained by Pakistan to a negative list regime in March, 2012 following the visit of the then Commerce minister. This was followed by opening up of trade through the land routes in April, 12, thereby opening up better trade opportunities.Following table illustrates the bilateral trade between the two countries at a glance, since the FY 2003-04 till the current FY. 2. Main items of export from India to Pakistan are: cotton, organic chemicals, food products including prepared animal fodder, edible vegetables, plastic articles, man-made filament, coffee, tea, spices, dyes, oil seeds, dairy products, pharmaceuticals etc. 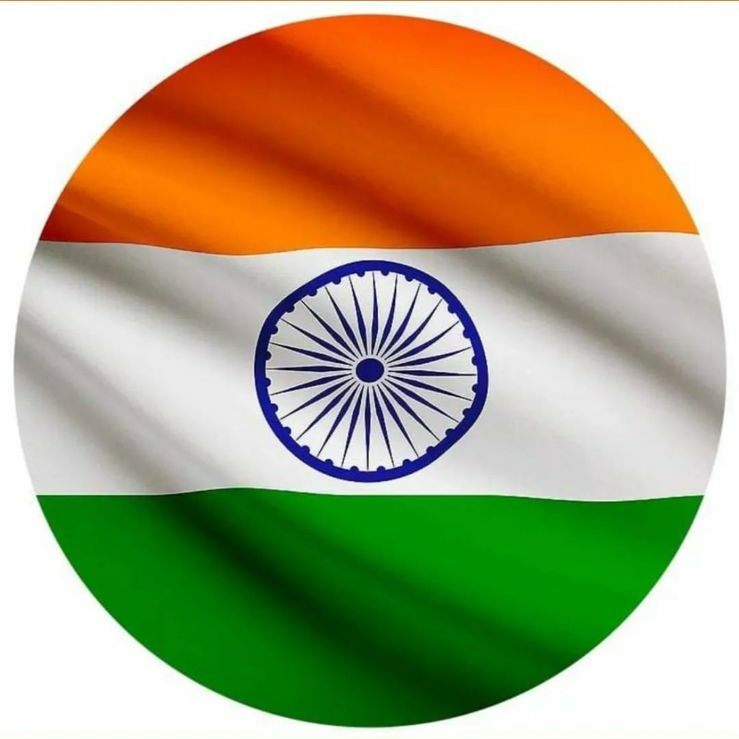 Main items of import by India from Pakistan are: copper and copper articles, edible fruits and nuts, cotton, salt, sulphur and earths and stones, organic chemicals, mineral fuels, plastic products, wool, glassware, raw hides & skin etc. 3. The visit of the then Senior Federal Minister of Commerce of Pakistan Makhdoom Muhammad AmeenFahim to India from September 29- October 3, 2011 was the first such visit after a gap of 35 years. The visit of Commerce, Industry and Textiles MinisterShriAnand Sharma to Pakistan from February 13-17, 2012 was the first ever such bilateral visit from the Indian side. He was accompanied by a 100-strong delegation of senior captains and representatives of India’s trade and industry. This was followed by a visit of the then Minister of Commerce MakhdoomFahim of Pakistan to India in connection with the ‘Lifestyle Pakistan’ Exhibition in New Delhi from April 12-14, 2012. Pakistan’s Federal Minister of Commerce met Commerce Minister in New Delhi on January 18, 2014 on the margins of the Fifth SAARC Business Conclave. The Ministerial meeting was preceded by meetings of Commerce Secretaries of the two countries on January 15 and 17, 2014. 4. During the visit of the Commerce Minister of Pakistan to India in Sep-Oct 2011, the two Ministers mandated the Commerce Secretaries to pursue with vigour the task of fully normalizing bilateral trade relations, dismantle all non-tariff barriers, full implementation of SAFTA obligations and prepare the roadmap for greater preferential trading arrangements between India and Pakistan. In early November 2011, the Pakistan cabinet took a decision to fully normalize trade relations with India, of which granting MFN status to India would be a part. The Commerce Ministers of the two countries agreed during their meeting in Islamabad in February 2012 that both sides would scrupulously adhere to the roadmap drawn up by the Commerce Secretaries for full normalization of trade relations by, inter alia, phasing out the Negative List for imports from India before the end of 2012, and advancing preferential trading arrangements through SAFTA. 5. In March 2012, a ‘Negative List’ (of 1209 items which cannot be imported from India) was notified. It replaced a ‘positive list’ of about 1950 items which were till then permitted for import from India. In August 2012, India announced reduction of 30% in its SAFTA Sensitive List for non-Least Developed Countries, bringing down tariff on 264 items to 5% within a period of three years. This measure benefited Pakistan’s exports to India in sectors of key interest to Pakistan. In their meeting in Islamabad on September 20-21, 2012, Commerce Secretaries developed a long-term plan whereby Pakistan would notify removal of all restrictions on trade by Attari-Wagah land route by October 2012 (which currently permits only 138 items to be thus imported), and the Indian side would bring down its SAFTA Sensitive list by 30%. Thereafter, once Pakistan phased out the Negative List (supposed to have been done by December 2012), India was to bring its SAFTA Sensitive List down to 100 tariff lines at six digit level, and Pakistan would simultaneously notify its dates of transition to a similar regime within the next five years. 6. In their meeting in New Delhi on January 18, 2014, Commerce Ministers of India and Pakistan reaffirmed the commitment to expedite establishment of normal trading relations and in this context to provide Non-Discriminatory Market Access (NDMA), on a reciprocal basis. They decided to intensify and accelerate the process of trade normalisation, liberalization and facilitation and to implement the agreed measures before the end of February 2014. Implementation of these steps, inter alia, removal of ‘Negative List’ and removal of restrictions on the number of importable items via Wagah land route by Government of Pakistan is awaited. 7. With a view to build confidence of the business community on both sides, representatives of various trade regulatory bodies of India held meetings over 2011-12 with representatives of leading chambers of commerce and industry of Pakistan to discuss matters pertaining to trade regulations, standards, labelling and marking requirements. Three agreements, viz., Customs Cooperation Agreement, Mutual Recognition Agreement and Redressal of Trade Grievances Agreement, were signed during the Commerce Secretaries’ talks on September 21, 2012 in Islamabad. 8. The then Home Minister of India, in the presence of, among others, the Commerce Ministers of India and Pakistan, and the Chief Ministers of the states of Punjab of the two countries inaugurated the Integrated Check Post (ICP) at Attari on April 13, 2012. The Attari ICP represents vastly improved infrastructure to facilitate trade and travel. Spread over 118 acres, it contains a passenger terminal measuring 9,600 sqmts, a dedicated cargo terminal measuring 4,700 sqmts, and separate import and export warehouses measuring over 10,000 sqmts, apart from over 50,000 sqmts of parking space for trucks, and equally large area for future expansion. The two sides have discussed favourably other initiatives such as 24x7 operation at Attari-Wagah trade route, movement of containers between Amritsar and Lahore and meeting point for business persons at Attari/ Wagah. 9. Industry representatives and officials from the two countries held in 2012 discussions on export of upto 500 MW of electricity to Pakistan from India, trade in petroleum products and export of upto 5 million cubic meters of gas per day from India to Pakistan. Following the assumption of office of the new government in Pakistan after the elections in May 2013, a composite Indian delegation comprising officials and public sector representatives from electricity and gas utilities visited Lahore and Islamabad on June 9-12 to hold further discussions at technical level and made presentations to the Chief Minister of Punjab and Member of Prime Minister’s Energy Committee Shehbaz Sharif, Minister for Water and Power KhawajaAsif and Minister for Petroleum and Natural Resources ShahidKhaqanAbbasi. After a hiatus of a few months since expected visit of a delegation from Pakistan to India for follow up in July/ August 2013, further talks were held in Delhi on March 5, 2014 on trade in power and on cooperation in gas and petroleum sector on April 1, 2014. 10. Pakistan welcomed India’s decision to allow investment from Pakistan (notified by the Government of India on August 1, 2012). The decision to allow investment from Pakistan in shares and convertible debentures was notified by RBI on August 22, 2012. In September 2012, RBI removed restriction on investment in Pakistan from India. 11. Pakistan expressed appreciation for India’s support for getting approved the EU trade concession package for Pakistan by the General Council of WTO. In 2013, it requested India to support its efforts for obtaining EU’s GSP Plus facilities which was later granted to it in December 2013. 12. Among business-to-business exchanges after April 2012 are participation of a CII-organised high level business delegation in the 2nd Indo-Pak AmankiAsha Economic Conference ‘Dividends: Profits on Peace’ in Lahore on 7-8 May 2012, Bombay Chamber of Commerce and Industry in ‘My Karachi’ exhibition in Karachi from 13-15 July 2012, ‘India Expo’ in Karachi in 2013, the second edition of ‘India Show’ in Lahore (February 14-16, 2014) – which was inaugurated by Federal Minister for Commerce of Pakistan KhurramDastgir Khan, ‘Made in Pakistan’ Exhibition mounted by the Federation of Pakistan Chambers of Commerce and Industry in Mumbai from August 31-September 4, 2012, and again from April 3-7, 2014, participation of Pakistan in Indian International Trade Fair in November 2012 and 2013, and in a number of other trade exhibitions and events, including those arranged by the PHD Chamber of Commerce and Industry in Chandigarh, Ludhiana, Delhi, etc. The second edition of ‘Lifestyle Pakistan’ was held in September 2014 in Delhi. An interactive session with the Pakistan business community on ‘Business Environment in India’ was organised on 27.07.15 at Lahore by CII and FPCCI. India Pakistan Joint Business Forum (IPJBF) held a two day interaction in New Delhi on May 2-3, 2016 attended by leading business houses from both the countries as well as officials from the governments. 13. To give new momentum to India’s international trade and to make India an investor friendly destination various new initiatives are being undertaken and Make in India is one of such programmes.It is a program which includes major new initiatives designed to facilitate investment, promote innovation, protect intellectual property and to develop a modern manufacturing infrastructure in India. All the enthusiastic and innovative entrepreneurs, investors and technocrats from around the world are invited to India to be part of this initiative and in the process to expand their own business enterprises.To familiarise the Pakistan business community with the concept an event ‘Business opportunities in India’ was held in Islamabad on 15.02.16 which also coincided with the inauguration of the ‘Make in India week’ in Mumbai by the Hon’ble PM on 13.02.16. A list showing details of items being traded through the land borders is appended. Items importable from India through land route from Wagah. Other (Lady finger, Okra, ground/marrow, bitter gourd, radish arum/ arvi green, coriander, tinda). Raw cane and beet sugar (not containing added flavoring or coloring matter) and white crystalline cane and beet sugar. Oil cake and other solid residues, whether or not ground or in the form of pellets, resulting from the extraction of soya bean oil. Other (Paddy harvesters and paddy dryers)”.